"Design a desk system that encourages group collaboration, while still allowing for individual work." Products on the market focus on creating separate spaces for individual and collaborative work, my goal was to create one desk that would accommodate both types of work. 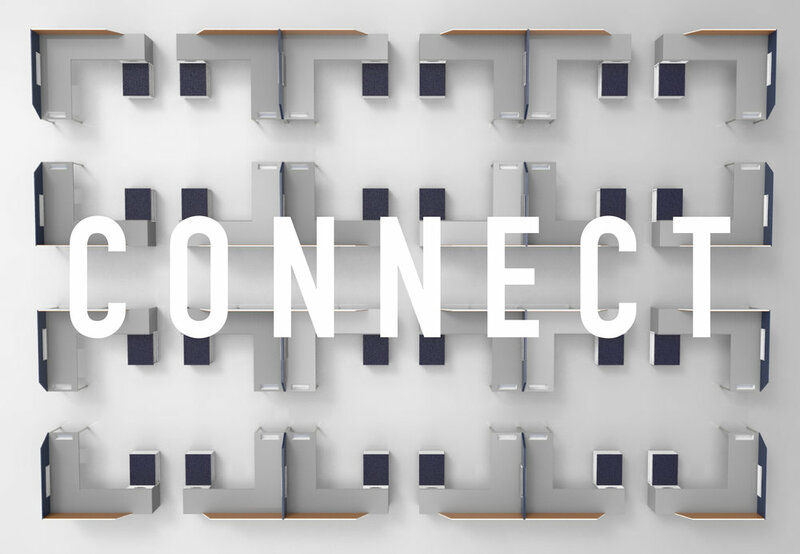 Connect allows for a wide variety of office layouts to appeal to work well for all employees.